Filmed running around the room after Ryan Jack's winner. 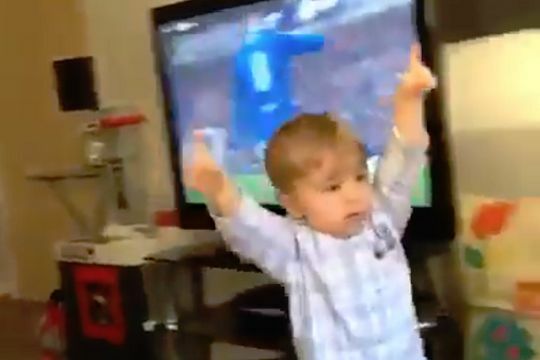 A young supporter was filmed celebrating Rangers’ only goal in a 1-0 win over Celtic while watching the game at home on TV. Rangers defeated their rivals in a Scottish Premiership clash at Ibrox shortly before New Year. The youngster is sat on a little chair, on his own, directly in front of the television. Upon seeing Ryan Jack’s 30th-minute strike, he begins his goal celebration. The boy runs around the room with his arms aloft in the clip, presumably videoed by a parent, that has been widely shared on social media.